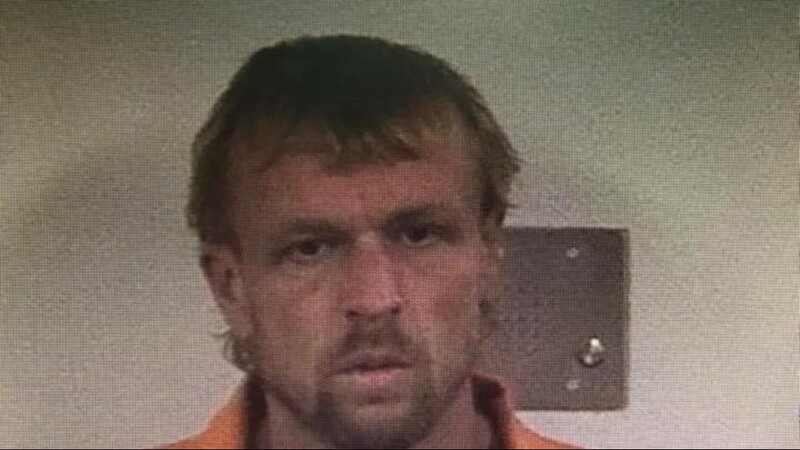 "I don't know how to explain it...he just got lucky,"
LAMAR COUNTY, Ga. - Police are looking for an inmate that escaped the Lamar County jail just after midnight Wednesday morning. According to Lamar County authorities, Christopher Nicholas Carroll used a metal rod to burst through two walls in a solitary confinement cell. Sheriff Brad White said he then used an access door to escape the building before going through a fence and leaving the property. "The jail called me and told me he had escaped out through the shower and then busted a hole in the wall, the outside wall that went to a storage unit," White said. "He was small in statue. I don't think an average sized person could have got through the holes and maneuvered the way that he did." White said Carroll also stole a county work van at around 1:30 a.m. The van had a GPS tracker in it so once authorities realized the van was gone, they were able to track him to South Carolina. It was tracked to Olar, South Carolina around 7:00 a.m. about four miles from Carroll's mother's home, according to White. He said South Carolina State Patrol converged on the van within 20 minutes of it being dumped and Carroll was not there. He said South Carolina authorities are "very familiar with him." "They're getting leads and tips in as we speak," he said. It's a search involving several law enforcement agencies. Hampton County Sheriff Thomas Smalls said his team is helping with K9s and additional manpower. He said they are making good progress. "We've been running him all morning and now we're very close," Smalls said. Carroll was being held in Lamar County after being arrested on Oct. 30 when he was found driving a vehicle that was stolen in South Carolina. According to White, he fought officers during his arrest and even tried to take one of the officer's weapons. He was charged with three counts of obstruction because of that and sentenced to five years in prison. This was in addition to the charges he faced in South Carolina. Carroll didn't know this, but he was scheduled to be transferred to prison on Thursday. He was last seen wearing an orange jumpsuit. He is described as a white man, 5'9, and 165 pounds. White said Carroll didn't have shoes when he escaped. While White said he would consider Carroll dangerous, it is unknown if he is armed. As for how he was able to escape, White said it was determination and possibly luck. "I don't know how to explain it...he just got lucky," he said. White said they are going to review both their policies and infrastructure to possibly prevent something like this from happening again. He also said Carroll could have gotten help from other inmates and said he's not sure how much planning could have taken place. Carroll was only in the solitary confinement cell for six days.